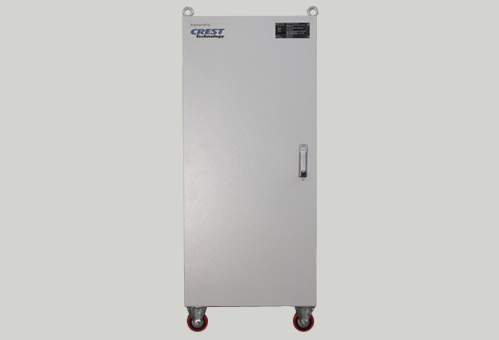 Cubicle Test System – Crest Test Systems Pvt. Ltd. This system is used for performing typical functional test sequences on fully assembled control and power cubicles used in locomotives and mainline trains. 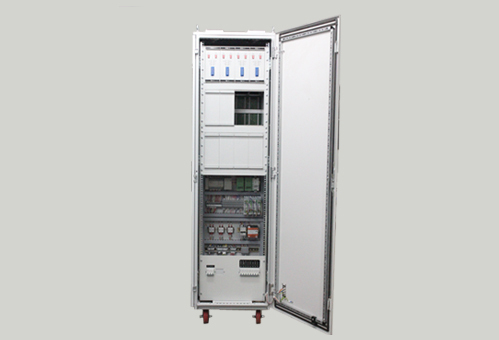 These cubicles contain several passive components, magnetic components, switchgear, control gear, communication components, and TCMS components. The test system has a hardware and software architecture that enables connectivity with cubicles that have differing functionalities by using pre-wired test harnesses. The software allows the user to define, develop, and execute test sequences to test the complete functionality of the electrical hardware, control switches, indications, protection circuits, control and communication modules, etc. The system is fully modular and can be expanded to test any cubicles that may be developed in the future.